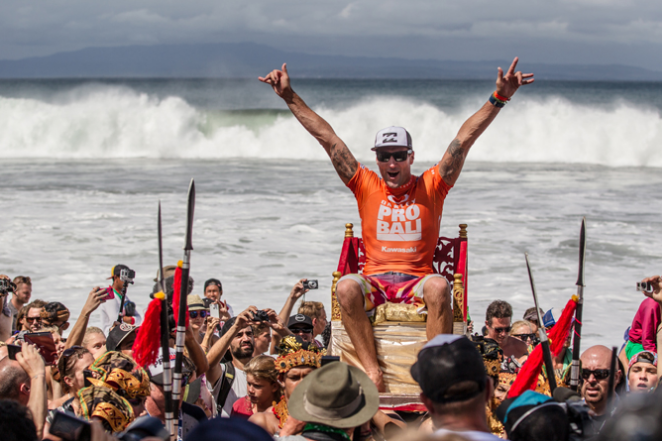 Joel Parkinson staged a late comeback in the Oakley Pro Bali final to knock off Michel Bourez and grab the title. The win bumps Parko up from seventh to third place overall in the tour standings, sitting behind only Slater and Mick at 1 and 2. 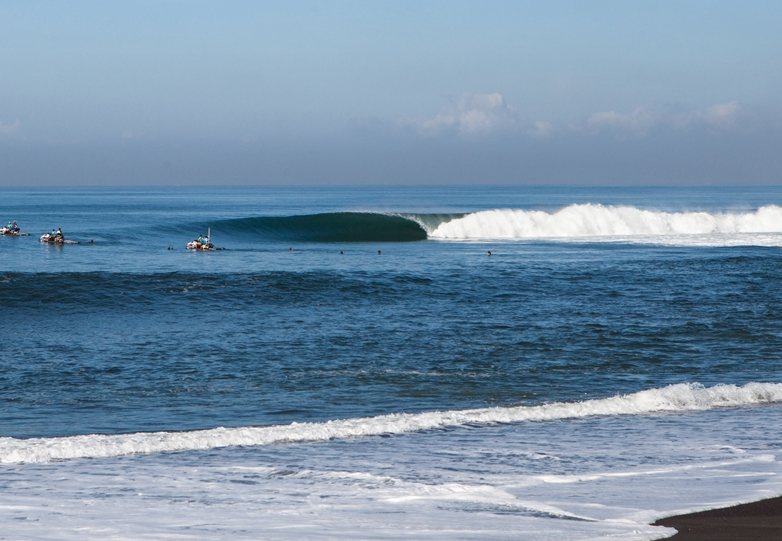 Over the course of 10 days, Bali and Keramas played host to some amazing technical waves, providing opportunities for barrels, big hacks and airs. But it seemed that the Oakley Pro flew under the radar a bit compared to the year's first 4 events due to the combination of the (1) comp being scheduled so shortly after the hugely successful and popular Volcom Fiji Pro, (2) that it was the first contest held in Bali since 2008, and (3) that some of the hottest names this season - Kelly, John John and Jordy - all got bounced before the quarterfinals. As mentioned, Kelly "struggled" in the contest, placing second to Damien Hobgood in a three-man round 1 heat, second to Josh Kerr in a three-man round 4 heat, and then bowing out against CJ Hobgood in round 5. Although he never strung together the heat scores that he has in other events this season, he was part of the most entertaining 3 man heat of the contest, where he, Josh Kerr, and John John went toe to toe in pumping surf. Kerrzy came up huge, posting 5 waves over 8.5! Including a perfect 10. His 19.67 was enough to top Kelly's 18.60 and John John's 17.10. Kerrzy kept up the momentum from his huge heat all the way to the semifinals, where he was matched up against Parko and got rocked. Parko scored an early wave combo of 7.50 and 6.93 and Kerrzy had nothing left in the tank - he only was able to score one wave, a 5.33. And so Parko moved on. The second semifinal held the two lesser known semifinalists - Michel Bourez and rookie Nat Young. But calling these guys surprise or upset semifinalists would be totally unfair because Bourez finished tied for 3rd at the season-opening Gold Coast event and Nat missed out on 1st place at Bells Beach by half a point. 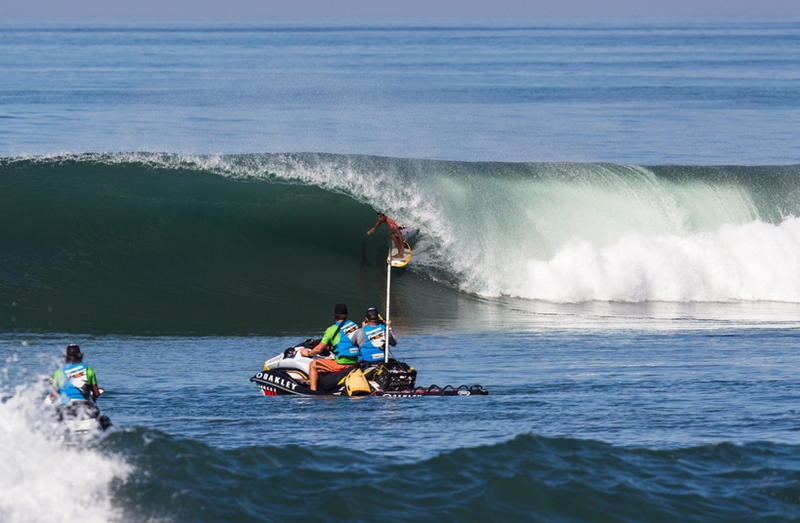 Nat was sitting on the lead right up until the buzzer when, with under 20 seconds to go, Bourez landed a wave. He was able to string together a number of maneuvers, perfectly linked up, that impressed the judges and scored him an 8.67, enough to advance to meet Parko in the final. The final saw another big comeback, but this time it was Parko. Both of Parko's scored waves, a 6.03 and a 7.83, came in the second half of the heat. No barrels and no airs, but Parko's 7.83 with less than 2 minutes left had a huge top turn and big, full speed, fore-rail hack. Bourez tried to fight back - catching a wave with 40 seconds left - but the 6.70 he earned was 1 point short of what he needed, and Parko claimed the win. 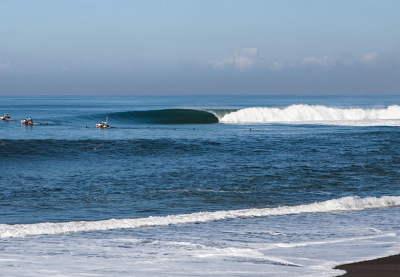 Next up is the Billabong Pro Teahupoo, August 15th to 26th.